An architect with a paralyzing spinal cord injury acquires a monkey helper, even as he grapples with what makes a life worth living. That's just one of the provocative questions posed in Katharine Weber's sublime new novel STILL LIFE WITH MONKEY. 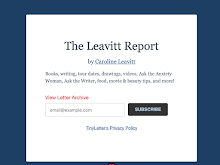 I first met Katharine Weber on the now defunct and totally wonderful online bookish site Readerville. We stayed friends and her expert eye unlocked many of my novels for me I(I'm so so grateful to her.) Her new novel and seventh book, STILL LIFE WITH MONKEY (bet you cannot take your eyes off that gorgeous cover, can you?) is both profound and moving, about a man, paralyzed in an accident, who acquires a monkey helper, but the question remains: Is this life worth living? 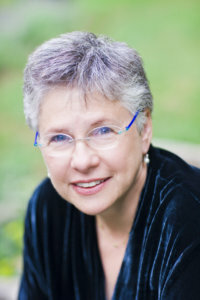 Katharine’s also the author of TRUE CONFECTIONS, THE MEMORY OF ALL THAT: GEORGE GERSHWIN, KAY SWIFT, AND MY FAMILY'S LEGACY OF INFIDELITIES, TRIANGLE, THE LITTLE WOMEN. THE MUSIC LESSON and OBJECTS IN MIRROR ARE CLOSER THAN THEY APPEAR. She's also the Richard L. Thomas Visiting Professor of Creative Writing at Kenyon College, and she previously taught at Yale. Starred review in Kirkus: "Rigorously unsentimental yet suffused with emotion: possibly the best work yet from an always stimulating writer." BookPage: "Weber expertly weaves Duncan’s internal conflict throughout the novel, constantly making the reader wonder if he will find the strength to continue living in his new circumstances and carry on with a will to make new legacies. Most importantly, Still Life with Monkey begs the question, “What would I do in this situation?” It’s a question that lingers long after the book ends." Thank you so, so much, Katharine for being here. And for a whole lot else. Still Life With Monkey asks the unsettling question—just what makes a life worth living? And I think it’s important to recognize that for different people, this means different things. Can you talk about this please? That’s a great question, Caroline. Who can say what is enough to make a life? What varieties of pain, both physical and emotional, are bearable, or unbearable? These are tremendously personal feelings, and consequent decisions. We can all pretty easily think about people we know who are in ordinary life situations we cannot quite understand—why doesn’t she leave him? Why does he put up with that terrible boss when he could get a much better job for more money? Why don’t they move from that awful neighborhood? But we never really know what it’s like to be anyone but ourselves. Suffering that one person can tolerate for years, another might not be able to stand for a few weeks. There are infinite varieties of pain and suffering and loss, some of them more visible than others. The biggest challenges of all, the life and death kinds of challenges, are no different. How much anyone can endure, and how to make choices about change, about seeking the end of pain and suffering, even the biggest choices of all—these are personal decisions and also rights that every one of us possesses. Whether or not disability has meant that certain kinds of choices are literally out of reach. Ottoline, the helper monkey, is one of the most charming creations in all of literature, I believe. I know you did extensive research with real monkey helpers. How much of your research is Ottoline, and how much did you build on and create? I spent several years educating myself about capuchin monkeys in their natural habitats, and also about the training of capuchins to make them helper monkeys capable of providing “helping hands” to disabled people. Capuchin monkeys are the smartest New World monkeys, and they are capable of learning more than fifty commands for switching on lights, turning pages, picking up dropped phones and remotes and so on – all skills that allow disabled people to have more autonomy and independence and privacy. Training consists on a great deal of monkey see, monkey do. Though I have never based a character in any of my six novels on any actual person, I admit that Ottoline, though she had come to life in my early drafts long before I met Farah, is truly inspired very directly by my little monkey friend Farah. It is my good fortune that Farah likes me, so spending time with Kent and Nancy and Farah is always a very rich experience. (If you’re wondering, Farah the monkey is some 36 years old. She is a tufted capuchin, with a shock of fur on the top of her head. Think about who was famous for her big hair 36 years ago, and you will discover the origin of this little monkey’s name. Still Life With Monkey was originally called The Monkey Helper. Why the name change? Every novel I writer starts off with a plan, and then inevitably I find myself deviating from the plan. You always have to be open to surprising yourself when you’re writing a novel. 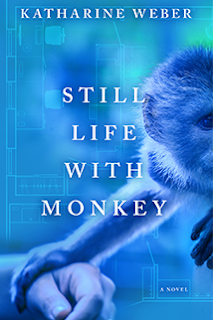 I thought I was writing “about” a monkey helper, when in fact I was writing about a complex marriage, twins, secrets (everyone in the novel has secrets, including the monkey), architecture, life with a spinal cord injury, art conservation, and the right to die. So that working title became obsolete. I love the title Still Life With Monkey because it has layers of meaning. There is a tradition of bountiful still life paintings by French, Dutch, Spanish and Italian painters over three centuries. These are exquisitely rendered depictions of extraordinary arrangements of fruits, flowers, meats, game, and savory tarts, displayed temptingly in beautiful vessels, heaped on laden tables, an imminent feast that also suggests the transience of life’s pleasures. When these artists added a monkey or two snatching treats from the table, it was a playful commentary on human appetites. For my novel, this title offers layers of meaning. Even compromised, this is still life for Duncan. Paralyzed life is a still life. And now his life is indeed with a monkey. Duncan is obsessed with the quotidian pleasures of his life and how much he has lost. Ottoline can give him back some of his ability to make choices for himself. But is this still life with a monkey enough? I appreciate your sense of this, Caroline. A real writer’s question. I agree, there is a lot about this novel that’s a shift for me. I spent some seven years writing this novel, partly because in these same years I have been teaching at Kenyon College (which I love) and have had less concentrated writing time. But also, it’s been a complex undertaking. It’s my longest novel (286 pages—I don’t write long novels.) It’s the first time my main character has been male. It’s the first time I have written principally in the third person. And it’s a high stakes narrative in many ways, with complex moral questions driving the story for each character. So there were indeed some deliberate challenges to myself with this novel. But also, it is my sixth novel and seventh book. You have to teach yourself to write each novel as you write it. I believe I am a both a better writer and a better teacher now than I have ever been before. I always love this question in your Q&As on your blog. Setting aside for the moment my chronic rage and anxiety about the state of the world and all the consequent disasters since the current occupant of the White House took office, I am juggling three different next novels in my head. This means, in addition to mapping out the situation and the story for each, which I have done but am also still developing, that I am at different moments delving into Amish culture and traditions, rumspringa, polydactyly, puppy mills (for Rumspringa), New Age healing retreats, poker tournaments, and sea glass collecting (for Traveling Angel), and details of daily Pueblo life in New Mexico and Arizona circa 1886 (for The Going Away Woman). Inevitably, before I am done with each of these novels, there will be numerous other rabbit holes down which I will burrow in pursuit of my strange idea of research. What am I reading now? And the answer is many short stories by Henry James and Edith Wharton, for an experimental advanced fiction seminar I am teaching right now, for which I am having my students read only the short fiction of these two masters as they write their own stories. Anyone who has ever been present when an author visits a book group must read Edith Wharton’s wickedly funny story “Xingu.”) I am also, right now, reading Deborah Eisenberg’s brilliant new story collection Your Duck is My Duck, both because I adore her work and this is the first book she has published in twelve years, and also because I am thrilled to report that we will be reading together at the Miami Book Fair on November 18th.